EEI’s semi-annual National Key Accounts Workshop is the venue where national, chain, and multi-site energy users can tackle all of their energy-related needs. Customers will learn about the latest public policies affecting the energy industry, meet with their utility account and energy supply representatives, and learn about new technologies, products, and services designed to save them money. Click here to learn more. The Professional Retail Store Maintenance (PRSM) Association is the leading membership association that empowers Retail Facilities Professionals to make informed business decisions by delivering best practices, education, forums, partnerships and other relevant industry resources. PRSM's Mid-Year Conference is designed to offer a connected educational and networking forum for multi-unit retail facilities management professionals. FM professionals attending the conference come with varied experience and expertise, but also bring similar challenges and goals. Click here to learn more. Demand-side activities are a company's best chance to control costs and reduce energy use. Demand Manager provides a 2-4% energy decrease by managing demand across multiple BAS types to meet your energy cost and load objectives without sacrificing customer comfort or installing additional hardware or meters. PRSM's National Conference is designed to offer a connected educational and networking forum for multi-unit retail facilities management professionals. FM professionals attending the conference come with varied experience and expertise, but also bring similar challenges and goals. Click here to learn more. EEI’s National Key Account Workshop is the venue where national, chain, and multi-site energy users can tackle all of their energy-related needs. Customers will learn about the latest public policies affecting the energy industry, meet with their utility account and energy supply representatives, and learn about new technologies, products, and services designed to save them money. Click here to learn more. The Smart Energy Decisions Innovation Summit is a unique and intimate event where commercial and industrial energy management executives connect, learn and network. It's an exclusive event where you will learn and network in a productive, distraction-free setting. You'll hear from successful industry executives during Summit conference programming and meet with industry peers and leading suppliers in a comfortable resort setting for a highly productive and valuable experience. Click here to learn more. 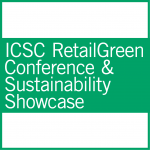 RetailGreen is the premier conference dedicated to profitable sustainability in retail real estate. This two-day conference utilizes panel discussions, interactive roundtable discussions, and problem-solving sessions to focus on identifying, understanding, and implementing the latest in eco-conscious innovation. 650+ vice presidents, directors and managers in energy, refrigeration, and store development gather at the FMI Energy & Store Development conference to learn from the best in the food retail industry about energy efficiency and conservation, as well as store design and merchandising. Click here to learn more. EEI’s National Key Account Workshop is the venue where national, chain, and multi-site energy users can tackle all of their energy-related needs. Customers will learn about the latest public policies affecting the energy industry, meet with their utility account and energy supply representatives, and learn about new technologies, products, and services designed to save them money.